It's time to get serious - with Serious Skin Care products, that is. 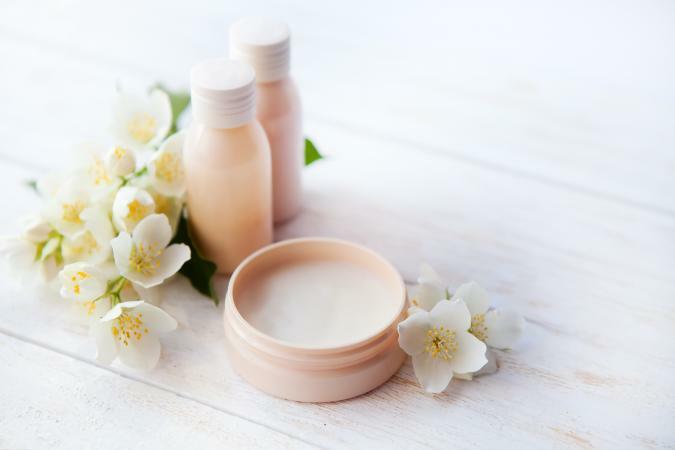 Keeping in mind that no two skin types are exactly alike, the founders of Serious Skin Care products realized the need for an extensive line of beauty products that catered to the unique needs of each person. The brand also offers a modest collection of fragrances and bath and body products, as well as color cosmetics. The Serious Skin Care products collection is chock-full of products. A generous selection awaits people of all skin types. Here is just a basic overview of the many products offered. The Anti-Aging collection may look a bit daunting at first. That's because the products have names that are more scientific than beautiful! Don't let that fool you, though. These products are packed with fine line-fighting, wrinkle-preventing ingredients that pack a potent punch. A-Wash with Peptides: A smoothing, hydrating cleanser that removes makeup and leaves skin refreshed. DNA Duo with Peptides: Consider it a cocktail for your face. Your skin will drink up the dual face and eye creams, which contain olive fruit oil and cucumber fruit extract, among other powerful ingredients. A-Primer: Always a handy product to have on hand, the primer utilizes silicones to fill in lines, wrinkles and pores, creating a flawless complexion. Olive oil is the key component of the dry skin care collection. It cushions the skin with a soothing, emolliating layer of moisture. Olive Moisture Cream: Dry, flaky skin benefits from a cream rich in olive oil, cocoa seed butter and bitter almond oil, among other ingredients. Olive Oil Hydrating Mask: Use this weekly and benefit from the ultra-hydrating blend of olive oil and rich shea butter. Olive Finishing Stick: Call it a miracle…in a stick. This portable little product provides on-the-spot dry skin relief, and even smoothes hair in a pinch. From unclogging products to moisturizers, the oily skin care collection is packed with treatments designed especially for slick spots. Unplugged: A targeted treatment, this spray stabilizes the skin. It safely penetrates and unclogs pores, leaving a refreshed complexion. A-Copper Serum: A rich - yet oil-free - serum that provides comfort while balancing oily skin and retaining moisture. Super Hydrate: Spritz the face with this refreshing, oil-free tonic, which contains soothing green tea extract. It retains the skin's moisture without leaving behind residue. Firm sagging skin and reverse the visible signs of aging with this line of masks, lotions, pads and more. Serious Firming Pads: As it exfoliates, it firms and leaves the skin hydrated. One quick swipe is all it takes to reap the benefits of this versatile product. Reverse Lift High Definition with Argifirm: It's a mouthful, but this gentle concoction illuminates the skin and minimizes the look of pores and lines. The result is flawless, effortlessly smooth skin. Reverse Lift Eye Cream with Argifirm: Suitable for women over 40, this rich blend firms, tightens and reduces the appearance of fine lines and wrinkles. C-Color Lip Palette: Completely warm weather-appropriate, the Indian Summer lip palette is a five piece collection of rich, warm shades. A lip brush is included. Diamond Shine Lip Color: Achieve some serious sparkle with this gleaming lipstick, which adds just a hint of sparkle. It's great for thinner-lipped ladies; the shimmer adds fullness. All Over Mineral Radiance: Dust this versatile face color over any spots normally touched by the sun - the temples, nose, chin and cheekbones. It provides a natural, fresh glow. Air-Touch Sponge Makeup: Following in the footsteps of the many other companies formulating light-as-air foundation, Serious Skin Care's sponge makeup is velvety to the touch. Flawless skin is imminent with its use; it blends beautifully over moisturizer, too. Reflections Eau de Parfum: A light floral bouquet of jasmine, rose and lilac on a background of musk and vanilla. A complementary body cream, shower gel and body mist are also offered. Sistine Body Talc: This lightly scented, shimmering talc promises beautiful, glowing skin throughout the spring and summer. Dust it on and enjoy soft, smooth skin with a hint of sheen. The complete line is available at the official Serious Skin Care products web site.